Meals are prepared fresh daily and served family-style in our ranch cookhouse! Swap stories with other adventures, ask directions to must-see spots, and just relax from the day. Make reservations or just show up at meal time! We are happy to accommodate dietary restrictions or large groups with prior notice. We accept cash, check, and major credit cards. 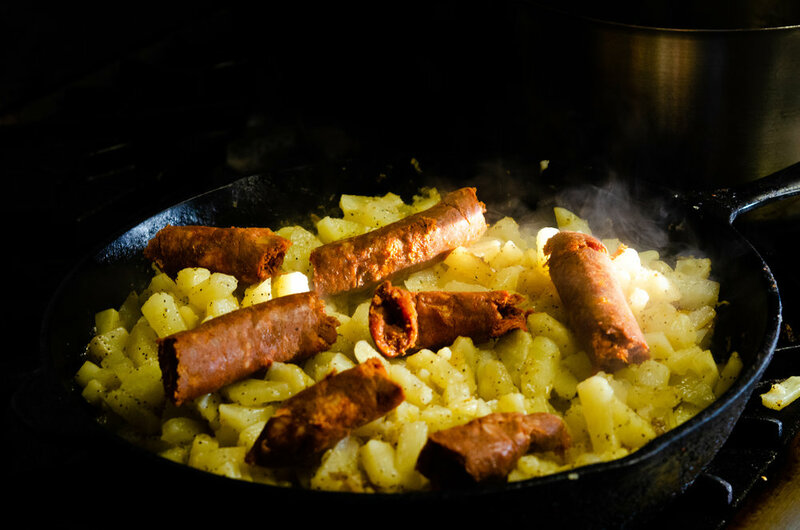 Chorizo and potatoes in progress for guests' breakfast. Breakfast is served at 7:30am daily unless otherwise specified. The cost is $13 a person with a new menu offered each day! We are happy to accommodate dietary restrictions or large groups with prior notice but welcome drop-ins! 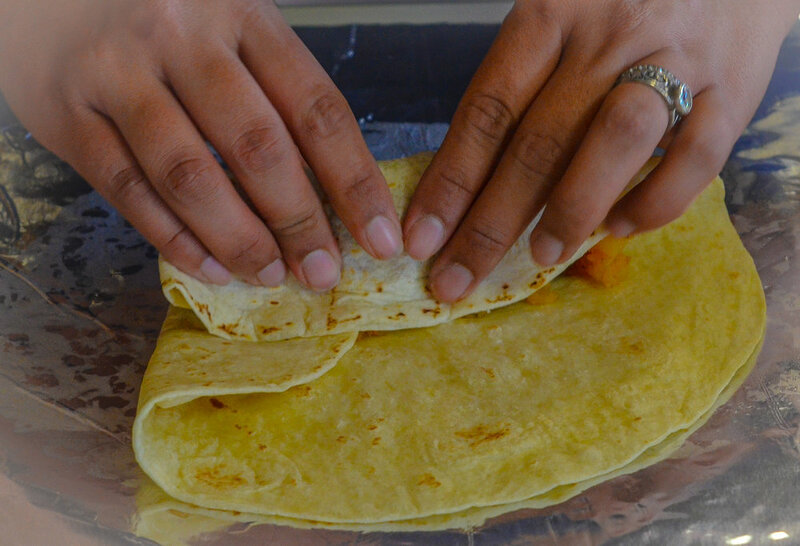 Burritos made with love in our cookhouse for lunch! Lunch is served at 1pm daily unless otherwise specified. The cost is $13 a person and our menu revolves daily! We are happy to accommodate dietary restrictions or large groups with prior notice but welcome drop-ins! Hearty portions of meatloaf and lemon-garlic potatoes with brussel sprouts. Dinner is served at 7pm daily unless otherwise specified. The cost is $25 a person with a new menu offered each evening! We are happy to accommodate dietary restrictions or large groups with prior notice but welcome drop-ins!